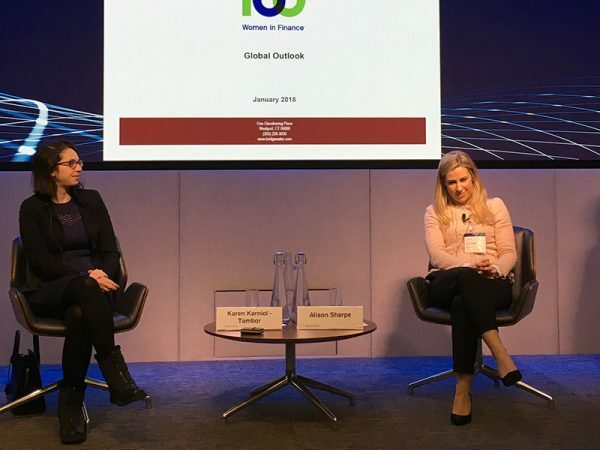 As 100 Women in Finance celebrates our 800th global education event, now is a good moment to reflect on all the terrific speakers we have had over the past 16 years. 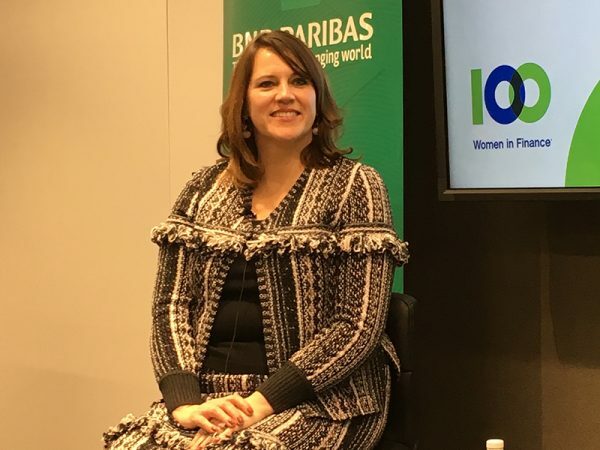 100 Women in Finance is especially proud to have featured over 1,300 female speakers at our global events since inception. These 1,300 speakers come from diverse backgrounds and represent all aspects of the investment world – from portfolio managers to C-Suite executives, from legal counsel to marketing and business development professionals, from senior accountants to institutional investors. 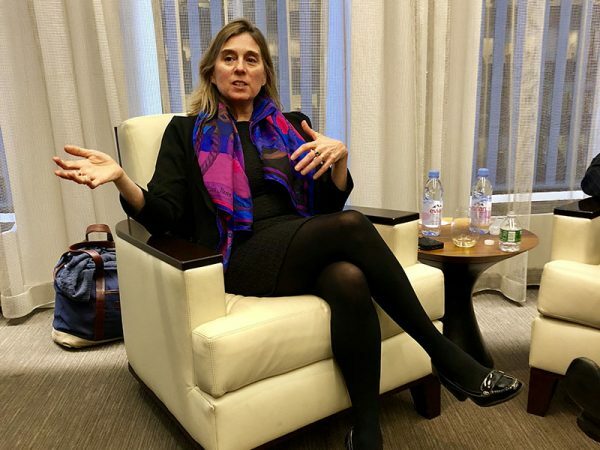 In the first month of this year alone, we had 26 female speakers at our events around the globe, a record number in any one month. And 16 of those 26 speakers are investors. We know that young people need role models to inspire them to success. 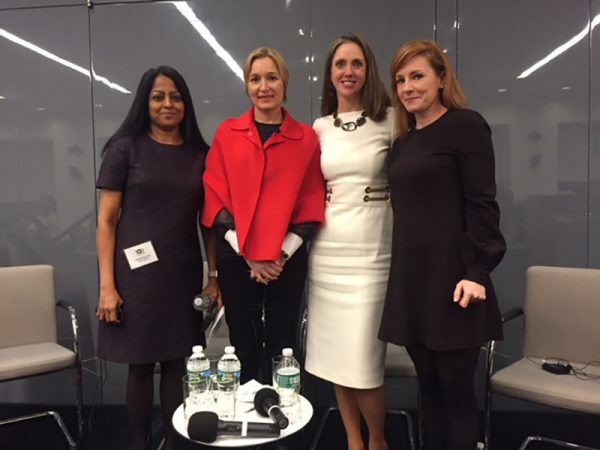 As a global industry association of more than 15,000 members, 100 Women in Finance is focused on empowering women. But to achieve this goal, we need to encourage successful women in the industry to be visible. 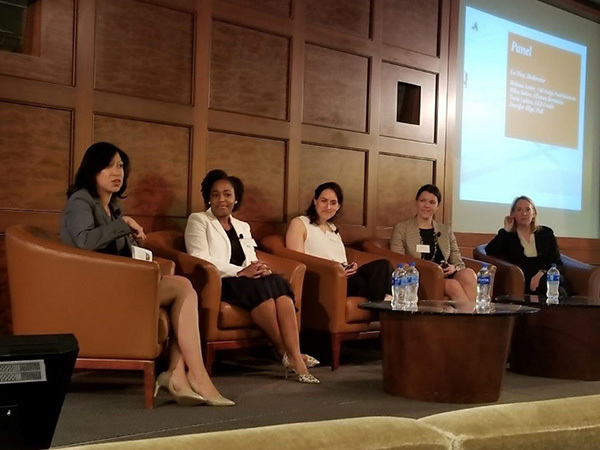 One of our goals for 2018 will be to find opportunities to actively feature women in the financial industry – in our internal and external communications, at our events, and in partnership with external industry conferences. 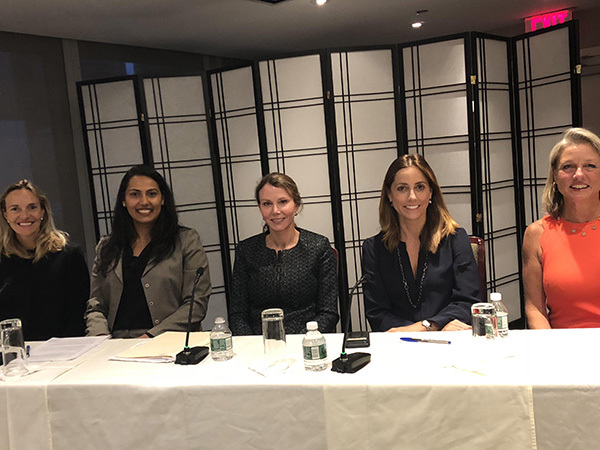 We want the next generation of young women to be inspired to join and succeed in the finance industry, and that starts by ensuring they know of, and can see other women who have succeeded. We want to challenge men and women in the industry to join us in our mission of empowering women. If you are, or you know, a senior woman in the industry, please reach out so we can give opportunities to speak at our events and external conferences. 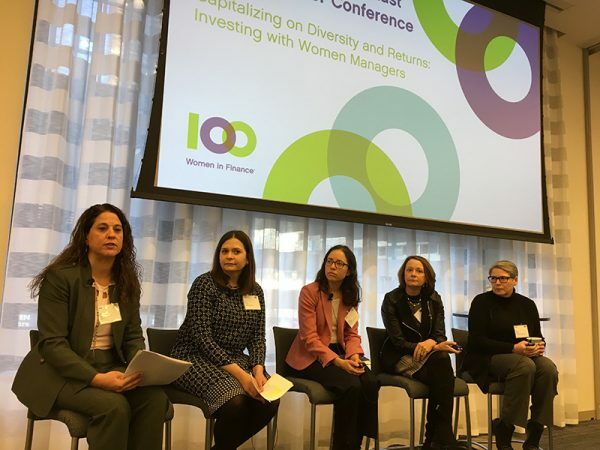 If you are an industry conference provider or a firm in the industry who cares about diverse panels, we want to partner with you and introduce you to female speakers who are experts in every aspect of the financial industry. 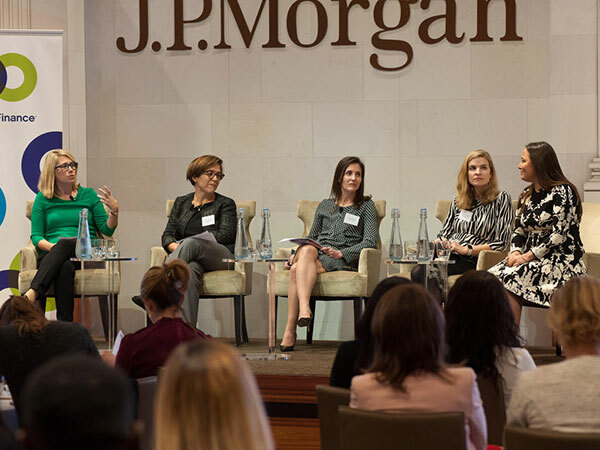 Let’s make 2018 a banner year for highlighting and celebrating female talent in the financial industry. 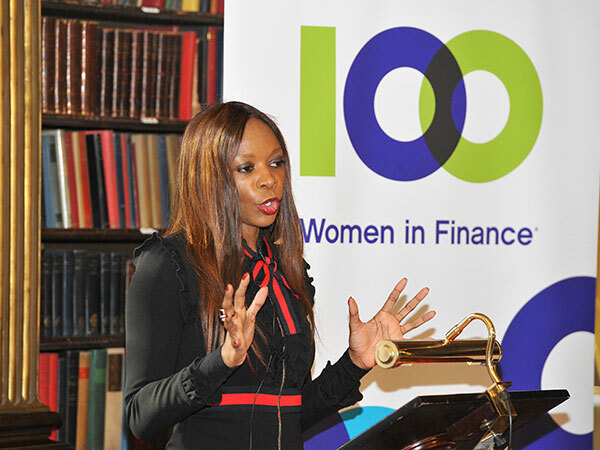 Dr. Dambisa Moyo, global economist and author, addressed the interplay of international commerce and the global economy, and the impact on investment opportunity. The address was followed by private tour of the historic Reform Club, which kindly hosted the breakfast gathering. Deep appreciation to Dr. Moya, who was made a 10WF Honouree Angel at the event. 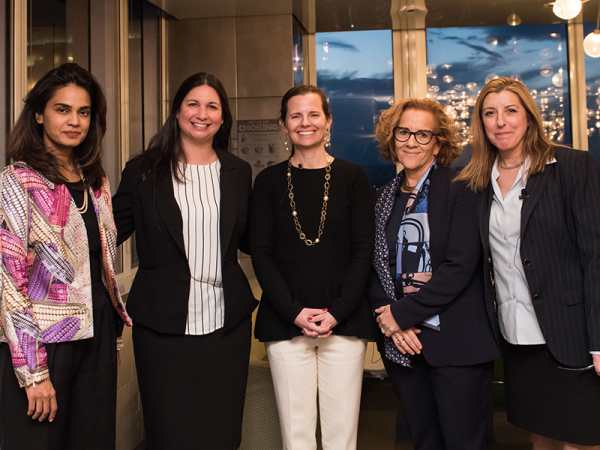 15 Oct | New York | 100WF members were honored to experience the reflections and outlook of Dr. Alice Rivlin, Senior Fellow at the Brookings Institution and former vice chair of the Federal Reserve Board. 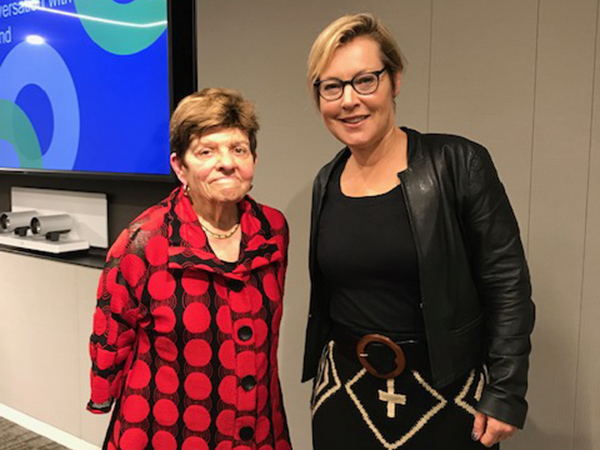 Dr. Rivlin (left) appeared in convivial conversation with moderator Gillian Tett (right), US Managing Editor, Financial Times. The audience appreciated Dr. Rivlin’s candor, wisdom and continued enthusiasm for a rewarding career in public service. 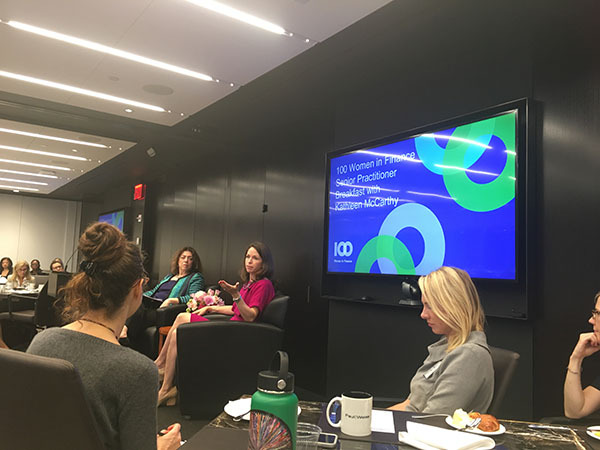 Thank you to Schulte, Roth & Zabel for hosting and congratulations to the New York Education Committee for the opportunity to engage with a legend in our field. 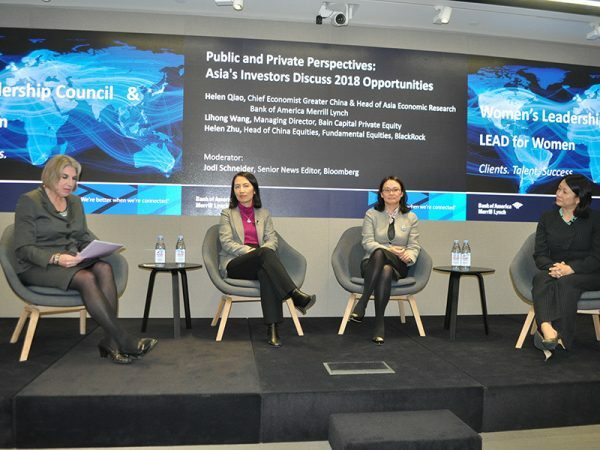 Hong Kong’s ever-popular “Billion Dollar Women” series featured Clara Chan (right), Hong Kong Monetary Authority’s CIO (Private Investments) and recipient of 100WF’s 2016 Asia Industry Leadership Award. 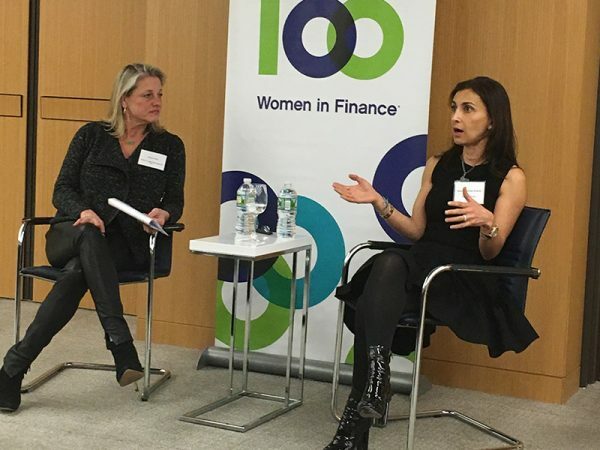 She appeared in conversation with Blackstone’s Carol Kim (left), 100WF co-founder and emerita board member. 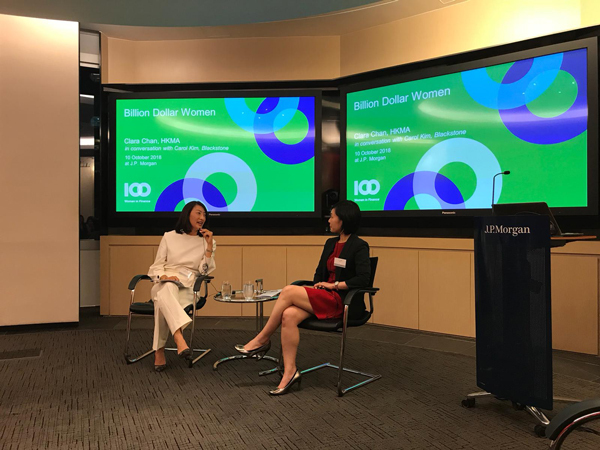 As Co-head of Blackstone’s Real Estate business, Kathleen McCarthy oversees total assets of $119B and the global operations of the world’s largest real estate investment firm.Senior practitioners enjoyed an intimate conversation between Kathleen and Jane Abitanta, Founder and CEO of Perceval Associates and Board Member of 100 Women in Finance. 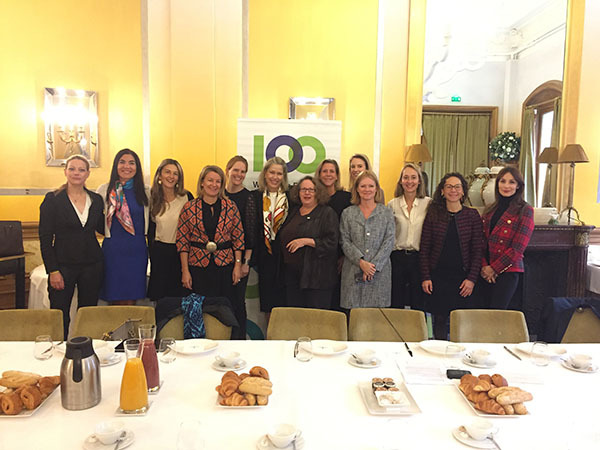 Leda Braga, Chief Executive Officer of Systematica, was the guest of 100 Women in Finance at an intimate breakfast held in an hôtel particulier in Paris.Moderated by Catherine Keyes Guichard, Leda shared stories about the motivating factors in her career journey, as well as how Sytematica sees quant as the investment style of the future and how quant investing can address ESG issues.Leda also spoke about how she sees being an active member of 100 Women in Finance as a way of giving back and inspiring the next generation of young women. 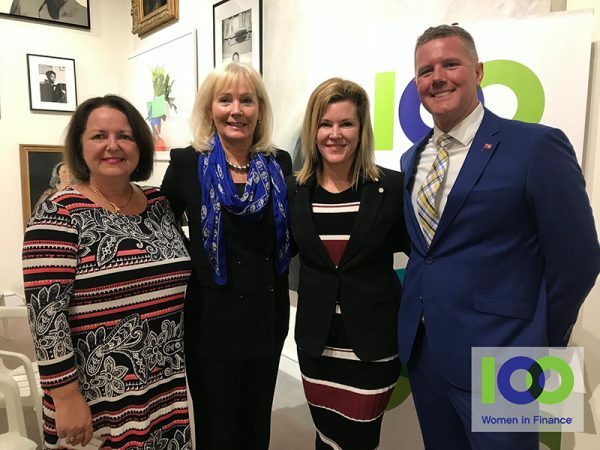 Alison Morrison, Managing Director of Oyster Consulting (Bermuda) Ltd. and Chair of 100 Women in Finance in Bermuda, Fiona Luck, former insurance executive and recent appointee to Lloyd’s Franchise Board, Meredith Whitney and Sean Moran, Head of Business Development, The Bermuda Business Development Agency (BDA).